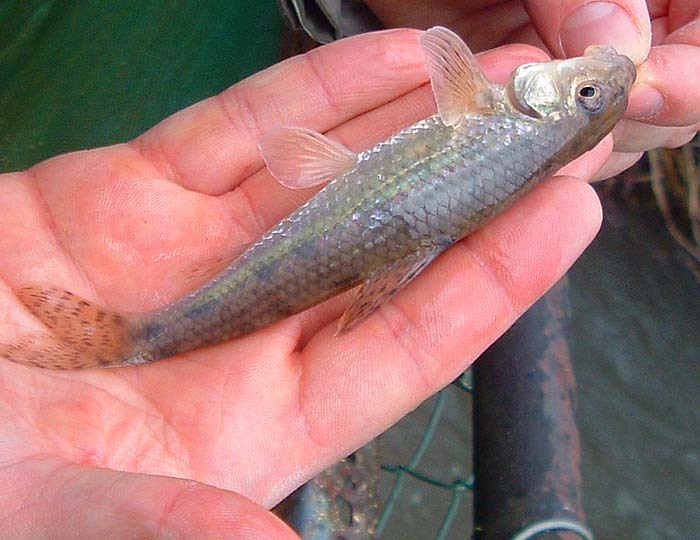 For anyone unfamiliar with the site always check the FRESHWATER, SALTWATER and TACK-TICS pages. The Saltwater page now extends back as a record of over five years of (mostly) sea fishing and may be a useful guide as to when to fish. The Freshwater stuff is also up to date now. I keep adding to both. These pages are effectively my diary and the latest will usually be about fishing in the previous day or two. 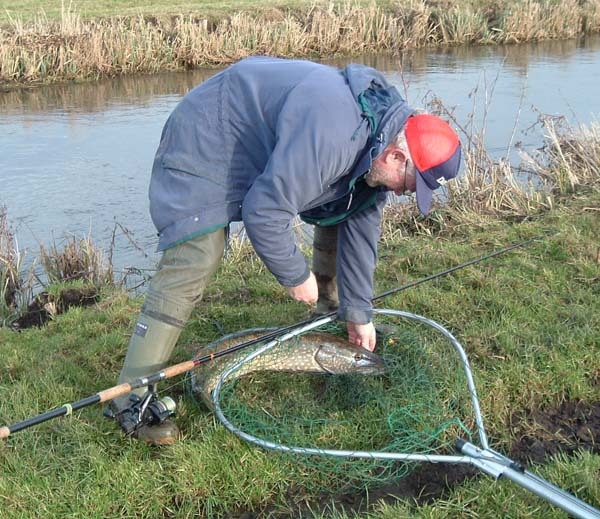 The Tactics pages which are chiefly 'how I do it' plus a bit of science are also updated regularly and (I think) worth a read (the earlier ones are mostly tackle and 'how to do it' stuff so if you are new to fly fishing or spinning these are the ones for you). A different approach to piking. I enjoy spinning! I make no apologies for my addiction but having said that, I know that using artificials is not always (or indeed often) the best way to catch big fish. 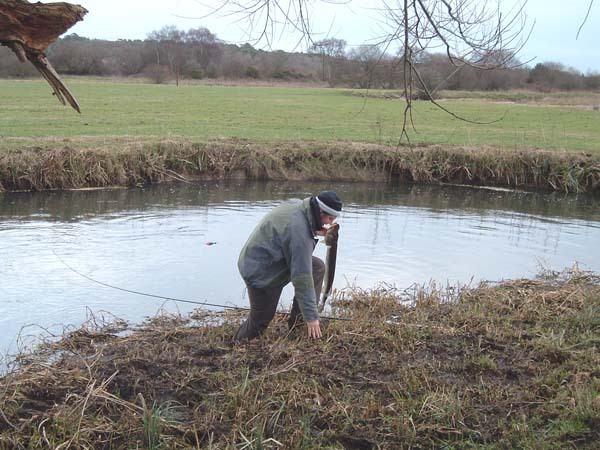 However, some years ago when I regularly fished with my pal (then also my research student) Stuart Clough, we developed an approach to pike fishing that I'd almost forgotten. In essence we tended to use live or dead baits for our pike, knowing that there was a good chance of double figure fish or better in the water that we fished. We both liked to spin as well and sometimes we would have a spinning session just to see what we could find. It was quickly apparent that when we were spinning we covered much more water and sometimes caught pike from the most unlikely spots; places that we would never even have tried with the natural baits. We then evolved a strategy in which one of us used a big spoon or plug (we alternated who was spinning between sessions) and the other used the 'naturals'. 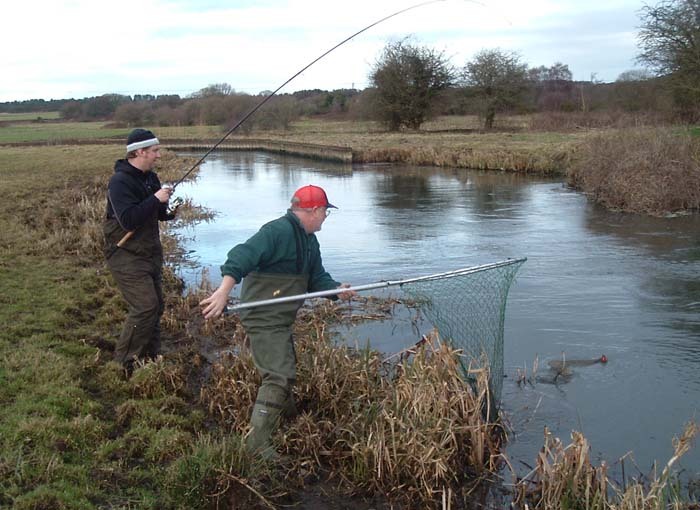 If a fish had a go at the lure and missed, the 'spinner' called up his buddy and 99% of the time the pike took the fish bait within seconds of casting out. This was certainly our most productive tactic and gave us many good fishing sessions. To be honest I'd almost forgotten about our 'dual method' approach until I went fishing yesterday. I met my pals Nigel and Ben down by the river. It was alovely afternoon and by the time they arrived I'd already caught sufficient baits for them to fish. They opted to spend a bit of time float fishing before we started and caught a reasonable number of dace roach and gudgeon on maggots. I didn't see much point in three of us using natural baits and to be honest I wanted my pals to catch a few fish so I opted to use the rubber lure that had been successful for me last week. I thought that perhaps I could find a few fish that we might not otherwise have located. 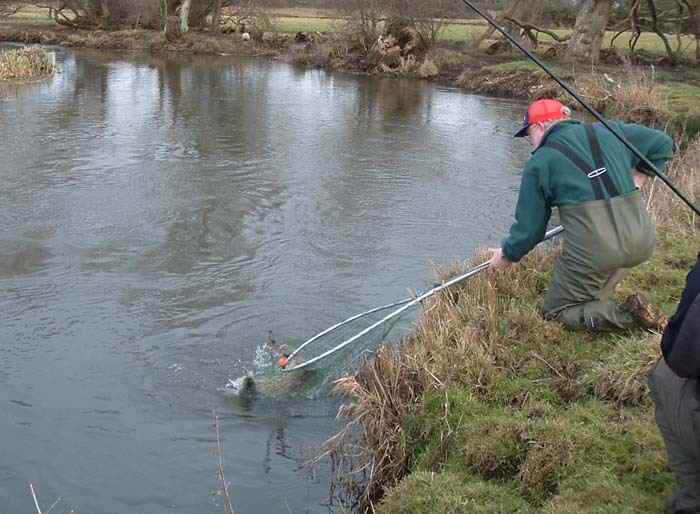 Both Nigel and Ben were using simple float gear with short wire traces armed with single circle hooks. I did not fish at first being keen to get a few pictures for the website and in the first pool they came across a pike of perhaps six pounds that just didn't want to be hooked. To be fair Ben was not familiar with the use of circle hooks and probably mistimed and overreacted on the first couple of occasions that the fish grabbed his bait. Anyway, we decided to give that fish best and walked on downstream. As we walked on I hung back behind the others and had a few casts with my lure. On probably the sixth or seventh cast a decent fish grabbed at the lure and was not hooked so I called to Nigel, who was fifty yards ahead of me by now, to come back and have a go. Within a minute or two he was into a cracking fifteen pounder which we landed and returned after taking a few pictures. Shortly after Nigel's fish Ben had a smaller one which he landed on his own at the expense of getting himself bogged down in the muddy margins. We walked on a bit further and I cast across to the far bank and picked up the smallest pike so far (four or five pounds) on the lure. Two or three casts later there was a swirl, right under my feet, as I lifted the wiggling rubber from the water. I called for my nearest mate, this time it was Ben, and within seconds he was into the fish. This one fought like hell and it was only when Nigel netted it that we realised it was a real beauty. 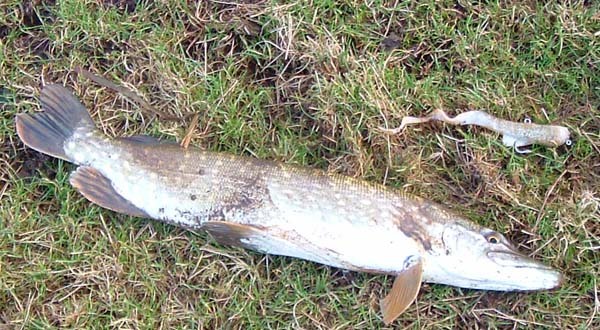 The pike was in mint condition and weighed over twenty-five-and-a-half pounds. Shortly after his big fish Ben hooked and lost another fish which I ultimately landed on the lure. All in all it was a wonderful afternoon. 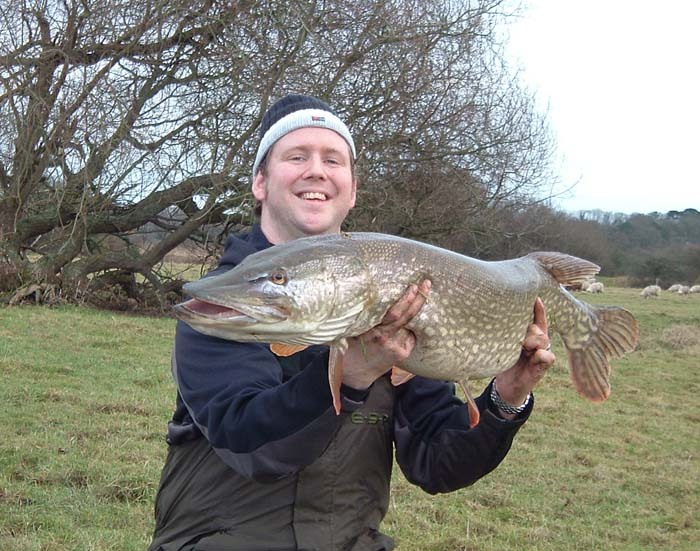 Of course it's possible that I would have landed either or both of the larger pike on my lure, had I persisted. However, by switching to natural bait they were almost guaranteed and of course because we were using circle hooks both were lightly hooked in the jaw and returned absolutely non the worse. Fantastic!